Know when breastfeeding is going well, or when you might need a little help. Explore the dynamics of having enough milk for your baby. Investigate your options before investing your money. 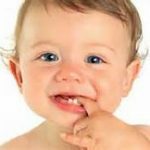 Learn about tooth decay and protecting your baby’s teeth.